A functioning political democracy is a prerequisite to having an economic system that works for everyone instead of just the better off and the powerful. Most national democracies in Europe are founded on unique political, media, and communication institutions and methods that foster inclusiveness, participation, authentic representation, multiparty democracy, and majoritarian policy based on a consensus of viewpoints. These methods include proportional representation electoral systems, public financing of campaigns, free media time for candidates and parties, universal/automatic voter registration, Question Time, Children’s Parliaments, exercises in deliberative democracy, and other methods that foster pluralism, relatively high voter participation and consensus building. Having multiple parties in their national legislatures has ensured that a broad cross section of viewpoints is at the table of political power, participating in the formation of majoritarian policy. This process has been aided by Europe’s various media and communications institutions, which are centered on a well-financed and robust public broadcasting sector (television and radio), a still vibrant newspaper industry, as well as widespread, affordable access to speedy broadband Internet. These in turn have produced one of the most informed publics in the world. The United States, on the other hand, is plagued by an antiquated, geographic-based, winner-take-all system in which most legislative districts and many states have become one-party fiefdoms with little competition or choice for voters. Voter turnout for national legislative races is one of the lowest in the world among established democracies, generally less than half the number of eligible voters. Women, young people, and other demographics remain vastly underrepresented. Low-population (and usually conservative) states receive far more representation per capita in the US Senate and in presidential elections, even as sensible policy proposals with nationwide support get strangled by Senate filibusters led by senators representing a small proportion of the nation’s population. The US corporate media vets which candidates and issues the public will hear about, the newspaper industry is on shaky ground, and public broadcasting is so poorly funded and lacking in visibility or hard-hitting, BBC-like journalism that it cannot act as a counterbalance to the for-profit media corporations. With its political and media institutions unsuited for the challenge of policy formation in the twenty-first century, the American system has become polarized and paralyzed, a barrier to the enactment of new public policies that could address the many serious challenges the country faces. Most of Europe’s democracies, particularly at the national/member state level, are better adapted than America’s democracy for the demands of representation, consensus seeking, and policy formation in the twenty-first century. To be sure, European democracies have their share of flaws and they vary in the extent to which they employ the various institutions and practices described in this chapter. Moreover, the global economic crisis tested the resiliency of the world’s democracies and, like the United States, various European states exhibited some democratic shortcomings. But even in the midst of the ongoing eurozone challenges, most Europeans national democracies have performed remarkably well (democracy at the continental level, however, is a different story, where the institutions of the European Union are still young and in formation). While recognizing the great diversity across the continent, it is still possible to identify many institutions and practices that are common across most European democracies—and that differ in fundamental ways from US institutions and practices. Indeed, Europe’s thriving, pluralistic, democracies are the most important reason Europeans have been able to harness their capitalist economy to enact a more broadly shared prosperity, universal health care and other supports for families and individuals, and environmental sustainability. In trying to understand Europe’s development model—which in other writings I have termed social capitalism and the European Way (Hill, 2010)—Europe’s vibrant political democracies have received too little attention. While economy and culture are the twin cores of our daily lives, political democracy is the means for deciding who will sit at the table of power, making policy that affects everything else. In a democracy, the political institutions must shape the economy and mediate the cultural milieu, not the other way around, or vast inequality and political and social polarization will result. Europe’s centuries-long evolution of a democratic spirit never was a straightforward path but rather one filled with violence, hypocrisy, and setbacks. As a reaction to their blood-soaked history, the nations of Europe have forged political institutions that foster inclusiveness, participation, authentic representation, multiparty democracy, and majoritarian policy based on a consensus of viewpoints. Europe’s advanced democracy is evident in fascinating ways, large and small, incorporating macro- and microinstitutions. On the little d democracy side, we see microinstitutions such as Question Time in Britain, Sweden, Italy, France, and elsewhere, an often televised weekly grilling of the prime minister and other government officials by the opposition party. In Britain, Question Time provides great political theater, and it is informative as well. A rather simple change like Question Time in the United States might force more transparency as well as public engagement, and even alter the types of people who become candidates since elected leaders would need to be eloquent enough to go toe-to-toe during Question Time. Europeans have decided to make it easy to vote, whereas we in the United States have erected unnecessary barriers. Most European nations vote on a weekend or a national holiday, making this seminal democratic ritual more revered, as well as more convenient, and providing a greater pool of poll workers for election day (the latter an important consideration, since many US jurisdictions have difficulty finding enough poll workers during a busy work day). European democracies also practice what is known as universal/automatic voter registration—all eligible voters automatically are registered to vote. It is done proactively, on a rolling basis, with the government taking responsibility to make it happen, and the goal is to have 100 percent registration. A national voter database is maintained and each individual is issued a unique numeric identifier, and when one reaches voting age that person is welcomed automatically into the ranks of the enfranchised. But in the United States, we have an opt-in system in which it is left to the individual to fill out a form and register with the appropriate authorities. Registration drives often are tied to specific elections, leading to various abuses by the partisans who want to register their voters but prevent the other side’s voters from participating (Bronner 2012). It is also a difficult system to administer, with election officials being overwhelmed at election time by thousands of new registrants who must be processed quickly. This chaotic process, when combined with partisan shenanigans, has resulted not only in lawsuits and elections decided by the courts, but also in nearly a third of eligible US voters—about seventy million people—being unregistered to vote, a situation unheard of in Europe. Some states have nearly as many unregistered eligible voters as people who actually vote. For instance, in California there were nine million voters in 2006 compared with seven million eligible voters who were unregistered. What becomes obvious in observing voter registration and other practices is that European democracies value enfranchisement and participation much more than does the American system. This can be seen not only in practices that affect the entire population but also in the voting rights accorded to prisoners. Most European democracies allow prisoners to vote because voting is considered a human right as well as an essential part of a prisoner’s rehabilitation. But in the United States, only Maine and Vermont allow prisoners to vote, and most states have created byzantine procedures for restoring ex-felons’ voting rights, clearly designed more to discourage it instead of facilitating it. Some states actually permanently ban felons from voting even after they have served their time and finished parole. These practices are a legacy of American racism, with a disproportionate number of ex-prisoners being racial minorities. When you visit the chamber of the US House of Representatives, left and right are plain to see—Democrats on one side, Republicans on the other—with an aisle, a dividing line, down the middle. With only two viable electoral choices, the free marketplace apparently has spread everywhere except to American politics. The US House of Representatives—the People’s House, as it is called—is hardly “representative” of the American people, with our vast array of ethnicities, religions, languages, geographic regions, and political philosophies. The People’s House actually doesn’t look very much like “the people,” since those who fill the chairs are 80.5 percent white and 82 percent male in a country that is 67 percent white and majority female. Also, most of the seats are filled by lawyers and businessmen, with nearly a majority being millionaires (Center for Responsive Politics 2013). The average age is fifty-seven, and on the whole, the People’s House hardly looks or thinks like the American people. The Senate is even worse in this regard. Of one hundred senators, only six are racial minority (with one African American, who was appointed to fill a vacancy), only twenty are women, and the average age is sixty-two; and even greater income disparities exist between the senators and their voters than in the House (Manning 2013). Two hundred years into our history the US Congress is still a fairly patrician body, more closely resembling the ancient Roman Senate than a New England town meeting. But in Germany’s Bundestag, one can observe several aisles and numerous sections, a different one for each political party. Germany is a multiparty democracy, with five to six parties usually winning representation in the national parliament. Seeing a visual display of it is a shocking reminder of how lacking in actual representation the US House of Representatives is. The Social Democrats and the Christian Democrats are the two main parties, one center-left and the other center-right; they are joined by the Green Party, the Free Democratic Party, the Christian Social Union, and the Left Party, a broad spectrum of public opinion occupying the chairs of the national legislature (and in four state legislatures, the new Pirate Party has managed to win some seats). In addition to this broad ideological representation, following federal elections in 2009, 32 percent of Germany’s national representatives were newcomers, and 33 percent were women (nearly twice as many as in the US House), including the country’s first ever female head of government, Chancellor Angela Merkel. A handful of Turkish-descended parliamentarians sat with their peers and three parliamentarians were Muslim. The average age of representatives was fifty, and even a twenty-three-year-old was elected on the strength of votes from young Germans (in recent years, a nineteen-year-old also has been elected) (Deutsche Welle 2002; AP 2007). These representatives were from broad backgrounds, experiences, and political perspectives, with more than one hundred occupations represented in the Bundestag—not only lawyers and businesspeople but also pastors, doctors, teachers, engineers, housewives, bricklayers, cooks, goldsmiths and artists (German Bundestag 2011, 4–5). It is difficult for a nation, especially one as diverse as the United States, to reach a consensus on the pressing issues of our times when so much of the nation is not seated at the table of political power. The comprehensive supports for families and workers available in Germany and other European democracies hardly even receive a debate in the US Congress (ironically though, as members of Congress, they have given themselves and their families European-level benefits). And Europe’s proactive policies to tackle global climate change have been approached timidly throughout this decade, even by Democrats and President Barack Obama. Without a multiparty democracy in which all significant points of view are represented, including centrist perspectives in an increasingly polarized Congress as well as in many state legislatures, political debate in the United States has become stunted along increasingly narrow lines in which the best interests of the vast majority of the American people are poorly represented. Why does Europe enjoy multiparty democracy while the United States does not? The answer is simple: Europe uses more modern political institutions than the United States does, including proportional representation electoral systems, universal/automatic voter registration, public financing of campaigns, free media time for candidates and parties, and a robust, well-funded public broadcasting sector that balances the corporate media. The United States has none of these, instead relying on antiquated political institutions that for the most part are still rooted in their eighteenth-century origins, and on a public broadcasting sector that is too poorly funded to balance the corporate sector and too worried about maintaining its funding from Congress and major corporations to engage in penetrating, incisive BBC-like journalism. The United States is one of the last advanced democracies to use a geographic-based political system that elects state and federal representatives one seat at a time, district by district, and the only democracy to elect its chief executive in a hodgepodge of individual state contests that turns a national election into one dominated by a handful of battleground states. In the modern era, this winner-take-all system, as it is called, has produced a stark landscape of legislative districts—indeed, entire states—that are little more than one-party fiefdoms. As a result, unequal treatment based on where one lives is a recurring theme in America’s antiquated political system, playing out in numerous ways that increasingly is undermining majority rule, contributing to political paralysis, and presenting major challenges for a nation as diverse as the United States in the twenty-first century. Despite the excitement of the 2008 and 2012 presidential elections, the fact is, most elections in the United States are predictable snooze-fests. From election to election, typically three-fourths of races for the House of Representatives are won by lopsided landslide margins and over 90 percent by noncompetitive ten-point margins. In 2012, incumbency protection and lack of competition ruled; even in the 2010 races for the House of Representatives, in which the House swung from Democratic to Republican control, only 12 percent of incumbents lost in November. For the vast majority of seats, political analysts can easily predict not only which candidate is going to win but even the margin of victory, because the districts are so predictable. State legislative races are worse yet. In 2012, 40 percent of the races had no candidate from one of the two major parties because the districts were so lopsided that it was a waste of time for one of the parties to contest the general election (McGlennon and Mahoney 2012). Most statewide contests for the Senate, governor, or the Electoral College vote for president were just as noncompetitive as the House or state legislative races. The winner-take-all system has rendered whole states as partisan strongholds, where one side wins most or even all the representation and other points of view go unrepresented—that is why it is called winner-take-all. For most voters, the choice offered where they live is not that of a two-party system but whether to ratify the candidate of the lone party that dominates their district or state. Most American voters have been rendered superfluous, but not as a result of partisan redistricting, or incumbents drawing their own legislative district lines, or even campaign finance inequities, the usual reasons cited. Recent research shows that in most states liberals and conservatives live in their own demographic clusters, with liberals dominating in cities and along the coasts and conservatives dominating in rural areas and many suburbs. When those demographics cast votes via the single-seat, winner-take-all system, the vast majority of districts are branded either Republican red or Democratic blue before the partisan-line drawers even sit down at their computers and draw their squiggly district lines. And of course for statewide elections there are no district lines yet similar dynamics play out. That means election results mostly are a by-product of partisan residential patterns (i.e., where people live), combined with the winner-take-all system. Redistricting reforms and campaign finance reform, while having their merits, will not greatly affect these fundamental challenges caused by America’s eighteenth-century political system based on exclusively geographic representation. Making matters worse, the winner-take-all electoral system exaggerates the adversarial nature of American politics, making the achievement of a national consensus on the most pressing issues more difficult. Winner-take-all breeds an adversarial “If I win, you lose” clash of opposing forces amid efforts by the winners to take all from the losers. Purple America—neither red nor blue—is smothered by the winner-take-all nature of the US system. With one side dominating whole regions and states, political monocultures have resulted where debate and discussion of innovative ideas have virtually ceased, leaving the two sides bunkered down in their regions like combatants in a political and cultural war that has become increasingly polarized and bitter. Given America’s winner-take-all dynamics, multiparty democracy is impossible, and that has additional repercussions. A broad spectrum of voters living in the same district and holding widely divergent views are expected to share a single representative, an increasingly impossible task in a modern pluralistic world. Without authentic representation, many people don’t bother voting, so it is hardly surprising that voter turnout in the United States is one of the lowest in the world among established democracies. For the tens of millions of “orphaned voters” living in the opposite party’s lopsided districts and states, there is literally nothing to vote for, even during exciting 2008 and 2012 presidential elections, or in the 2010 House races in which the majority was up for grabs. Only 39 percent of eligible adults voted in the 2006 House elections, which improved to about 57.5 percent in 2008 with the draw of a presidential election. Then turnout in House races declined again to about 40 percent in the 2010 midterm congressional elections, only to increase to 55 percent in the 2012 presidential election. That is very low compared to other democratic nations; the United States is ranked no better than 140th in the world in voter turnout, trailing India, South Africa, Uganda, and Estonia in the world’s rankings for national legislative elections. But it’s not just elections to the U.S. Congress that are hurting American democracy. Our presidential elections suffer from problems similar to those of the House and Senate; that is, the system is geography-based, resulting in a stark lack of competition in nearly all states and regional balkanization. The vast majority of voters live in locked-up states, which, as we saw in 2000 and 2004, produced a presidential election decided by small swathes of undecided swing voters in a handful of battleground states such as Florida and Ohio. The 2008 presidential election, occurring during a time of economic crisis and to replace an unpopular Republican president, saw a few more states in play, as did the 2012 presidential election when about ten states were swing. But the vast majority of states were still Democratic or Republican strongholds. In most states, the candidates don’t actively campaign or spend any of their billion-dollar war chest since everyone knows well in advance who will win there. Differential treatment based on where one lives plays out in alarming ways in both the Senate and the Electoral College. Both are structured to give low-population, predominantly rural states more representation per capita than higher-population states (in the Senate, each state has two Senators regardless of population; in the Electoral College, each state has a number of electors equal to its number of Senators and House members). Political scientists Frances Lee and Bruce Oppenheimer have shown that electing two senators from each state, regardless of population—a legacy of the deal struck by the constitutional founders so that the slave-owning states would join the fledgling nation—has had the effect of disproportionately favoring the low-population states when it comes to representation of interests, policy, federal spending, and even leadership positions in the Senate (Lee and Oppenheimer 1999). And because these states tend to be the most conservative in the country, that representation quota has allowed for the Republican Party’s overrepresentation in the Senate in most elections since 1958 (Lee and Oppenheimer 1999; Winger 2007a). It’s like having a foot race in which one side starts ten yards ahead of the other. During the federal appropriations process, that has resulted in Democratic blue states, such as California, New York, New Jersey, and Illinois, heavily subsidizing GOP red states, such as Alabama, Mississippi, Alaska, and North Dakota. Billions in blue-state tax dollars end up in red-state pockets. It turns out that the most conservative states benefit from the types of redistributive government programs that American conservatives usually disdain (Tax Foundation 2006). But it is not just federal spending that is affected by the malapportioned Senate and its antimajoritarian tendencies. In recent years, conservative senators from low-population states representing a small segment of the nation have thwarted or slowed down many policies despite a healthy majority of Americans supporting those positions: health care reform, financial industry reform, gun control, campaign finance reform, global warming, labor law, paid parental and sick leave, the pullout of troops from Iraq and restrictions on war funding, huge subsidies for oil companies, and raising automobile mileage standards to a level long ago reached in Europe and Japan. One of the increasingly severe roadblocks in the unrepresentative Senate is its use of various arcane rules that further undermine majority rule. None of these is more arcane than what is known as the filibuster, which requires sixty out of a hundred senators to agree to stop endless debate on a particular piece of legislation before the full Senate may vote. The filibuster allows a mere forty-one senators representing a fraction of the nation’s population to stymie what the majority wants. The filibuster used to be a tactic used sparingly—a half dozen times per year during the tumultuous 1960s—but since President Obama’s election, the Republican minority in the Senate has used the filibuster as a regular tactic and when the Republicans had a Senate majority in the early 2000’s, the Democratic minority similarly escalated the use of the filibuster. Perversely, the 41 Republican senators regularly mounting filibusters represent barely a third of the nation’s populace, yet through the filibuster have been able to strangle any legislation favored by senators representing the other two-thirds. The resulting paralysis and gridlock has undermined both majority rule and the Senate’s credibility (Smith 2009). These antimajoritarian tendencies of the Senate have plagued the United States for a long time; in fact, they are widely blamed for perpetuating slavery for decades (Dahl 2002; Weingast 2002). Two of America’s most influential and important founders, James Madison and Alexander Hamilton, opposed the creation of the Senate because of its antidemocratic tendencies and its “unjustifiable limit on national majorities” (Dahl 2002). The situation with the Electoral College is similar. Low-population states, which usually are conservative, have more electoral votes per capita than the midsize and high-population states, which in turn gives an edge to election of Republican or conservative presidential candidates. And because the president appoints and the Senate confirms nominees to the US Supreme Court and to lower federal courts, this conservative bias is built into American courtrooms as well. Republican supreme court justices have had a solid majority for years on the high court, despite the nation not being majority Republican. Thus, a representation subsidy for low-population, conservative states is hardwired into all three branches of government. Overrepresented conservatives long have led the country in directions that are unsupported by a majority of Americans. 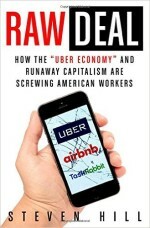 The US political system, originally created for a sparsely populated, eighteenth-century agrarian society led by wealthy slaveholders, with voters numbering no more than two hundred thousand propertied white males, is inadequate for a diverse, sprawling, free-trading, high-tech nation of 300 million people in a twenty-first-century world. Without a major overhaul of its most basic constitutional structures, the American political system may be unable to effectively address many of the major policy challenges facing the country. In Europe, on the other hand, proportional representation electoral systems have produced better representation, more electoral competition, and much higher voter participation rates because more voters actually have viable political choices representing a range of views that appeal to them. Political parties from across the political spectrum are able to compete for voters’ sympathies and win their proportionate share of seats in the legislatures. There are few safe seats or locked-up regions; everywhere is competitive, and even minority points of view can win representation in parliament. That’s because under PR, as proportional representation is sometimes called, a political party receiving 10 percent of the popular vote wins 10 percent of the legislative seats instead of nothing, and another political party winning 60 percent of the vote wins 60 percent of the seats instead of everything. Representatives are elected from multiseat districts instead of one-seat districts, making it possible for conservatives to win seats in liberal to progressive areas (like cities) and for liberals and progressives to win representation in conservative areas. This substantially reduces regional balkanization and partisan polarization. Minor parties and independent candidates can win their fair share of representation too. In the United States, minor parties are discriminated against with byzantine ballot access laws and various dirty tricks played by the two major parties. But Europe’s PR systems allow minor parties to compete on a more level playing field, and minor parties are valued for the constructive role they can play in a robust and confident democracy. These small parties often act as the laboratories for new ideas, challenging and stimulating voters, the media, and the major parties to think outside the conventional political box. Multiparty democracy creates dialogue between the political center and the margins, which in the short run can sound noisy and untidy but in the medium and long terms allows a much fuller airing of the issues and an inching toward national consensus. With a much fuller marketplace of political parties and their ideas to generate voter interest, and with no balkanized, one-party districts and regions where only one party prevails, it is not surprising that Europe’s multiparty democracies lead the world in voter turnout. Some nations have double the turnout of the United States, with Malta (93 percent), Luxembourg (90 percent), Belgium (89 percent), Denmark (88 percent), Sweden (85 percent), Austria (82 percent), Norway (76 percent), Netherlands (75 percent), Italy (75 percent), Germany (71 percent), Ireland (70 percent), Spain (69 percent), Finland (67 percent), United Kingdom (66 percent) and Slovenia (65 percent) leading the way (Institute for Democracy and Electoral Assistance 2013). Multiparty hustle and bustle have fostered more spirited debate and increased voter engagement to a degree that has been impossible in the United States. PR also tends to elect a far greater percentage of women to legislatures. The major reason for this is that women are more likely to run and voters are more likely to vote for them when there is more than one seat to fill. In US state legislative elections, for example, women tend to win seats in significantly higher percentages in multiseat districts than in one seat districts (Tremblay 2007). In addition, PR systems, especially list systems, give women additional leverage to demand that political parties add more females to their lists of candidates. Greater representation of women is important not only from a fair representation standpoint; various studies have shown a strong correlation between profamily policies enacted by legislatures and the number of women elected to those legislatures (Lijphart 1999). In Europe, the presence of more female legislators has brought more focus on family policies, as well as contributed to a distinctly European outlook that forms the core of its social capitalist values. With women’s representation in the US House still stuck at 18 percent and 20 percent in the Senate—seventy-eighth in the world—Sweden leads the way with 45 percent of seats held by women in its national parliament, followed by Finland (42.5 percent), Norway (40 percent), Denmark and the Netherlands (39 percent), Belgium (38 percent) and Spain (36 percent). Germany presents an interesting laboratory for measuring the impact of electoral systems on women’s representation, since it uses both a US-style district-based, winner-take-all method to elect half of its parliamentarians and a PR method to elect the other half. The result: Women win about 13 percent of the winner-take-all seats—about the same as in the United States—and about 46 percent of the PR seats, for an overall total of 33 percent. Other nations using this mixed member system, such as New Zealand, Italy, Russia, and Japan, also see two to three times as many women elected to the PR seats as to the winner-take-all seats. European democracies also have led the way in electing young people to national parliaments. In addition to Germany, Sweden has also elected a nineteen-year-old in recent years. In Europe’s PR democracies, many countries have seen twenty-somethings from both the left and the right elected to their national parliaments. Political parties have incentive to broaden their appeal by including young people on their list of candidates, who then reach out to and mobilize youthful voters. But in the United States we are missing out on opportunities to incorporate young people with their distinctive and refreshing perspectives into the fabric of American politics; electing one seat at a time doesn’t lend itself to including young people as candidates. The group that so far has had unimpressive political representation in Europe has been ethnic and racial minorities. Racial and ethnic representation has lagged not only because of discriminatory attitudes but also because historically, European countries have had small racial and ethnic minority populations. As these populations have increased, they have begun making electoral inroads by winning representation in federal and state parliaments in Germany, the United Kingdom, Sweden, the Netherlands, Denmark, Switzerland, and elsewhere. While America has elected a lot more minority representatives than European nations, the 19.5 percent of House members and 6 percent of Senators that are racial and ethnic minority are for a national population that is one-third minority, compared to minority populations in Europe of around 10 percent or less. So while at first glance the United States seems to be a much better example of fairer multiracial representation, in fact America has as large a gap in the ratio of ethnic and racial representatives to population as do most European democracies. Europe’s diversity of representation—in partisanship, gender, age, and increasingly ethnicity—only has been possible because of the use of proportional voting methods. Europe’s democracies have a much greater ability to field a broader range of candidates who have a real chance of being elected and who talk about a greater breadth of issues. Those features attract more voters to the polls. But in America’s archaic winner-take-all democracy, the connection between voters and candidates largely has been severed because most candidates are still older white males who run in lopsided partisan districts where they don’t even need to campaign to win reelection. However much the American people may yearn for more choices on election day, America’s winner-take-all duopoly prevents the rise of new political parties and new types of leaders that can fill this void. Europe’s use of proportional voting systems ensures that all significant points of view win a seat at the table. Moreover, voters win representation on the basis of what they think, not where they live, an increasingly valuable foundation for representation in this modern, mobile, pluralistic world. In the antiquated US-style winner-take-all democracy, next-door neighbors can have opposite political opinions, but only one of them can win representation, fostering an “If I win, you lose” adversarial politics. But in Europe’s multiparty democracies, the goal is to give everyone representation, no matter where they live, and bring all sides to the table, where they can hash out a consensus. It is not just in better representation and more robust political discourse that Europe’s multiparty democracies outshine America’s two-party duopoly. Research also has demonstrated that proportional voting systems produce legislative policy that is more responsive to the desires of the populace than winner-take-all systems. Professor Arend Lijphart from the University of California, San Diego reviewed performances of thirty-six countries, classifying them into majoritarian and consensus democracies, proxies for winner-take-all and proportional democracies, respectively. He concluded, “The consensual democracies clearly outperform the majoritarian democracies with regard to the quality of the democracy and democratic representation.” They also are more likely to have enacted comprehensive supports for families and individuals, have a better record on the environment, on macroeconomic management, and on controlling violence and putting fewer people in prison (Lijphart 1999). When political scientists John Huber and G. Bingham Powell compared nearly two dozen western democracies that used either a proportional or a winner-take-all electoral system, they found that policy passed by governments elected by PR were more responsive to the desires of the populace (Huber and Powell 1994; Powell 2000). Some US defenders have criticized European democracies as being too paralyzed by attempts to achieve this consensus. But Europe, with its social capitalism founded on the bedrock of a pluralistic representative democracy, has pulled even with and even surpassed the United States in many health care, social, economic, energy, and transportation categories. Yes, European governments have clear problems and faults and sometimes resemble debating societies. And unquestionably, the big challenge facing Europe today of how much its various member states should unite into a federalist state on the continental level has tested their political systems. But even in the midst of that challenge, most of Europe’s national democracies have continued working remarkably well. Not surprisingly, given the considerable defects of the peculiar, antiquated US political system, few of the world’s democracies have copied it. Not many countries have adopted our district-based, winner-take-all system to elect their legislatures, and no countries have copied our malapportioned Senate or our flawed Electoral College method for electing the president. For those not steeped in the mythologies of the American system, the defects of the geographic-based political system and its outdated eighteenth-century practices are too large to ignore. Instead, most new democracies have copied the political institutions of western Europe and created multiparty democracies. Besides multiparty democracy founded on the bedrock of proportional representation, another crucial component to consensus building and a thriving democracy is the means by which average citizens and voters receive information and news. In the modern age, four types of communication infrastructure are necessary to foster a vigorous democracy and robust political debate: a healthy public broadcasting sector that acts as a balance to the profit-driven corporate media, free media time for candidates and parties, some degree of public financing of campaigns, and affordable and widespread access to high-speed broadband Internet. Most European democracies outstrip the United States in all of these areas. Nearly all European democracies award public financing of campaigns to all political parties that achieve a minimum threshold of the vote, typically 1 percent or so. Giving public money to a party with so few votes is completely alien to the American way of thinking, but in Europe a dramatic difference in philosophy exists. European democracies try to encourage political debate and a free marketplace of ideas as part of its consensus-seeking process. By publicly financing campaigns, European democracies provide all candidates and parties with sufficient resources to communicate with voters. That allows lesser-funded candidates and parties to challenge ones that are better-funded and to raise issues that stir real debate, which spurs voter engagement. In addition to giving public money to candidates and political parties, another essential component of a flourishing multiparty democracy is the generous provision of free radio and television airtime for political parties and candidates. Broadcast media are the greatest expense of any candidate or party’s campaign, especially in the biggest and most important races, so this is a valuable contribution to the quest for leveling the playing field and fomenting robust political debate and consensus seeking. Free media time on both TV and radio is awarded to all political parties that achieve a minimum threshold of the popular vote, typically 1 percent or less, with the bigger parties awarded more airtime. Ad slots last from five to ten minutes in length, considerably longer than the thirty-second sound bites in US political ads. This permits a more substantive presentation of the party’s issues and positions. But in the United States, the Democrats and Republicans enjoy a duopoly that they wish to preserve. So the two major parties go out of their way to prevent voters from hearing other points of view. Not only is public financing of campaigns rare on the American political landscape, but free media time for candidates and parties is virtually nonexistent and the state bureaucracies controlled by the two major parties discriminate against and even harass minor parties with draconian ballot access laws and other tactics. This loss of political debate and stifling of new ideas is one of the most insidious downsides to America’s privately financed campaigns and two-party duopoly. In the absence of public financing or free airtime, running for public office in the United States is extremely expensive, a situation that has allowed wealthy interests as well as the corporate media to become gatekeepers of candidates’ viability. Particularly for the bigger races like president, governor, and US Senate, broadcasters maintain a de facto boardroom primary in which successful candidates are vetted by media gatekeepers, as well as by big campaign donors. The media gatekeepers also have a veto over which issues will be discussed during the electoral season (Hill 2012). Moreover, various studies have demonstrated that corporate broadcasters have developed a habit of severely restricting political coverage (Falk and Aday 2000; The Campaign Legal Center 2000) and shortened the length of the political sound bite heard on the news to eight seconds (Ruskin 2000). This severely cramps the parameters of political debate. Various media institutions in Europe also differ substantially from those in the United States, with dramatic consequences. European democracies also have corporate broadcasters, but it also has many more politically diverse media and communication outlets that have fostered a flowering of public opinion, debate, and analysis. In particular, Europe enjoys the benefits of more robust public television and radio networks, as well as a cornucopia of numerous daily newspapers with editorial slants from the right, left, center, center-right, center-left, far left, and back again. Europe’s public broadcasting sector is more omnipresent and influential, and for a very simple reason—it is more generously funded. Public broadcasters such as the British Broadcasting Corporation (BBC), France’s TFI, Germany’s ARD, and Italy’s RAI benefit from an annual budget of fifty to ninety dollars per capita, compared to only three dollars per capita for American public broadcasting (McKinsey and Company 2004). Nearly as important as the level of funding is the mechanism of public funding. In the United States, public broadcasting is funded primarily by budget allocations from Congress and donations from corporations. Public broadcasting must be careful not to bite the hands that feed it. But in Europe, many of the public broadcasters are funded by mandatory public subscription fees, with all households required to pay a monthly fee of approximately fifteen dollars (about $180.00 per year). This gives these media outlets their own funding base which is mostly independent of the government’s mood swings. That in turn allows them to display a level of journalistic independence that American public broadcasting can only dream about. Finally, in the Information Age in which an informed citizenry is enhanced by its access to the democratizing aspects of the Internet, broadband access and penetration in Europe remains much greater than in the United States. Europe’s high-speed connections are about half as expensive as America’s and lightning fast in comparison, which is ironic since the United States used to lead the world in this category (Luce 2013). When combined with a more robust public broadcasting sector, these diverse information and media sources in Europe play an integral role in the political and cultural landscape. They establish a tone and quality that the corporate broadcasters have to compete with. Enacting European-style publicly financed campaigns, free media time, better-funded public broadcasting and more affordable and faster Internet service would greatly open up American democracy to new voices and new ideas that would engage more voters. The robust and comprehensive nature of European media and communications institutions, when combined with public financing, free media time for campaigns and parties, universal/automatic voter registration, and proportional representation electoral systems, contribute to a greater degree of what political scientist Henry Milner has called “civic literacy”—the knowledge and capacity of citizens to make sense of their political world. Societies with high degrees of civic literacy are ones in which the people show an ability not only to be conversant in the politics and issues of the day but also to identify the impacts that specific policy options will have upon their own interests and those of their community. Milner’s thesis is built on Robert Putnam’s widely discussed social capital, but Milner went beyond Putnam to draw greater attention to the impact of political institutions and the media and to show how civic literacy underpins effective democracies, economic performance, and social justice (Milner 2002; Putnam 2000). Various studies have demonstrated that the peoples of Europe are among the most educated and informed in the world, not only about their own domestic politics, but also about international affairs. Americans, on the other hand, consistently perform near the bottom of these measurements. Europe’s greater level of civic literacy compared to the United States is greatly enhanced by its better-equipped political and media institutions. While the European democracies are well equipped for consensus building and policy formation, unquestionably a continent of half a billion people has significant challenges to deal with in the years ahead—all the more so in the wake of the recent economic crisis, which magnified the shortcomings of European democracies and forced issues of greater political and economic integration onto the table. Not all the European nations always live up to the high standards described above. In France, the print media are known for being too cozy with the power structure, and some of the most powerful media groups had links to the administration of President Nicolas Sarkozy (Scalbert 2007). Major political parties in France have been wracked by scandals over campaign finance and tax evasion in recent years. As their economies struggle to recover from the Eurozone crisis, some political parties in Spain and Greece have become mired in corruption and tax evasion scandals. Italy’s longtime prime minister Silvio Berlusconi remains a glaring affront to democratic standards. Media magnate Berlusconi had gobbled up nearly all the private television media in Italy and then used that resource as a steppingstone to a successful political career. Then, as prime minister, Berlusconi also oversaw the Italian public broadcasting sector, giving him unprecedented influence over nearly all televised media in Italy. That is not how civil society is supposed to work in a representative democracy. In the face of such crises and the inability of many European governments to get their economies growing again in the aftermath of the Great Recession, it is not surprising that citizens across much of Southern and Eastern Europe are expressing dissatisfaction with the functioning of their national democracies (Eurobarometer 2012, 52–3). But despite these shortcomings, Europe’s democracies are far from broken. Consider Italy, which has long been treated by US critics as the poster child of struggling European democracy. The constantly collapsing coalition governments in Italy in the post–World War II period have provided steady fodder for finger-wagging lectures from the New York Times, the Washington Post, and the like. But it is rarely noted that Italy has enjoyed enough stability within its instability to have the eighth largest national economy in the world and a high standard of living. Other nations occasionally have had difficulties forming a coalition government, with Belgium taking a record 541 days to swear in a government following the June 2010 elections. Nevertheless, any political turmoil in most of the European multiparty democracies has not prevented them from prospering or enacting Europe’s unique brand of social capitalism and workfare supports for families and individuals, which, on the whole, have continued to work remarkably well, even during a time of economic crisis. Most of the criticisms leveled at European democracies—“they lead to weak coalition governments” or “they elect fascists and neo-Nazis,” or “they produce weak welfare states in which nobody works” and, paradoxically, “everyone pays high taxes”—turn out to be overhyped exaggerations and stereotypes. While it is true that proportional representation can provide far-right or far-left parties an opportunity to enter parliament, it is little recognized that the US winner-take-all system allows small slices of the most zealous parts of the electorate (the base) to acquire exaggerated power. A handful of these voters can determine which party wins the presidency or the US House if they tilt the results in even one battleground state, such as Florida or Ohio, or in a handful of close House districts. Forty-one senators representing as little as a third of the nation have been able to stonewall legislation via constant filibusters. So the US-style winner-take-all system often is—in its own ways—bedeviled by minority rule and extremists. Besides, PR systems have a fail-safe: They can handle political extremists by raising the threshold of victory (the percentage of the vote needed to win a seat) to a suitably high level that limits the extremists’ political impact. Proportional systems and multiparty democracy are used by most of the established democracies in the world, all of them establishing different victory thresholds to fine-tune their democracies and make them as representative—or as exclusive—as they need them to be. Among the many PR democracies in the world today, very few have had the problems of Italy, Israel, or Germany’s Weimar Republic in the early 1930s, the most frequently criticized examples of PR. In fact, Germany’s political system demonstrates the possibility of creating interesting hybrids, which the United States could learn a lot from. The German electoral system combines US-style single-seat, winner-take-all districts with proportional representation, offering the benefits of both. New Zealand, Italy, and Japan also use this mixed member system. Bicameral state legislatures in the United States provide an easy opening for such a mixed system. States could use geographic-based representation via winner-take-all districts in one chamber of the legislature and proportional representation in which voters win representation based on what they think in the other. One important European institution where the functioning of democracy has been subject to sharp criticism is the European Union (EU). The EU, through its institutions, including the European Parliament, the Council of Ministers, and the European Commission, on the whole has capably tackled the difficult task of representing twenty-eight nations, dozens of languages, and half a billion people located across a sprawling continent. Nevertheless, it is seen by many Europeans as a distant, meddling bureaucracy, issuing directives from on high, including the enforcement of its eighty thousand pages of regulations that touch everything from air travel to household chemicals and the recipes for cheese and French bread. While the European Parliament is directly elected, it is not allowed to introduce legislation. The European Commission is the only EU body allowed to initiate legislative proposals, even though it is not directly elected by the broader European public. Consequently, the European Union is seen as being too removed from electoral controls, too complex for citizens of the member states to comprehend, and generally unaccountable to its citizens. Complicating matters further still, while the current structures have been adequate for a loose confederation of member states, the eurozone crisis has revealed that they are inadequate for a monetary, fiscal, and transfer union, which the eurozone core of seventeen member states appears to be evolving into (Latvia will become the 18th member state using the euro beginning in January 2014). Europeans certainly have the expertise to design a continent-wide democratic system, but what is lacking is a continent-wide consensus over how united and federalized their union should be. Outstanding questions remain over how much sovereignty each nation should cede to the supranational body, and whether they should join together to become a United States of Europe. The economic collapse in 2008 and subsequent aftershocks to the eurozone exacerbated these questions over continental unity, as individual nations had to decide how much they should pool their resources and help bail each other out. Unquestionably, the European Union’s democratic institutions have a ways to go before they match those of Europe’s national democracies, but the EU is a work in progress. It is instructive to recall that a full seventy years after its first government, the United States fought a bloody civil war over states’ rights (and the related issue of slavery), which at its core was a violent disagreement over the powers of central government and member states’ sovereignty. It took many decades for America to settle some of its most divisive regional differences. Similarly, the European Union will take many years to construct. The United States has a much older democracy, and just like an old computer doesn’t have the latest operating system or other flashy features that a new computer has, America’s older democracy is missing some of the innovations of Europe’s newer democracies. However, we have to be careful about projecting what lessons the United States can learn from Europe because the context is so different across the Atlantic, and institutions often are path dependent as they are embedded in specific histories and culture. Moreover, special interests often jealously guard their perks and privileges within the existing order, making far-reaching reforms difficult or impossible to enact. Certainly, two special interests in the United States that frequently resist fundamental political reform are the Democratic and Republican parties. Still, there are many European innovations that the United States could implement that don’t threaten the two-party system, and these are likely to have the best chance of succeeding in the short run. These include universal/automatic voter registration, Question Time, free media time for candidates, and a more robust public broadcasting sector. Another possible reform that might gain some legs is direct election of the president via a national popular vote plan which takes advantage of the fact that state legislatures decide how to award presidential electors. If a number of states that in aggregate hold a majority of electoral votes enter into a compact in which all signatories award their state’s electoral votes to the winner of the national popular vote, the presidential race would become a de facto national direct election without passing a constitutional amendment. This National Popular Vote plan was launched only a few years ago and already has enough participating states with 136 electoral votes, which is more than half of the 270 electoral votes needed to activate the compact. But when it comes to more profound reforms, such as proportional representation and public financing of campaigns, the hostility of the duopoly to opening up the political system is deeply rooted and will be a formidable obstacle. Electoral system reforms are most likely to happen at the local and state levels before the federal level. Yet with the controversies swirling around voting rights lawsuits, which increasingly pit representation of racial minorities against the electoral success of the Democratic Party, as well as the insider cronyism that infects the decennial redistricting process, proportional voting methods may gain more viability as the best method to liberate state and local elections from these inherent contradictions of the winner-take-all system where only one side wins and everyone else loses. Indeed, the use of a proportional voting system would go a long way toward electing more minorities without having to gerrymander race-conscious districts and also electing more women and young people; it also could do a lot to decrease the ongoing partisan polarization by giving representation to the full breadth of the political spectrum, including moderates who often act as the bridge builders in legislatures and yet have become an increasingly endangered species there. The goal of decreasing balkanization and coming closer to “representation for all” by changing the electoral system could quickly rise in popularity as Americans grow more and more frustrated with a polarized, do-nothing Congress. An overhaul of the US Senate so that it is more representative and less biased toward white, rural America will be even more difficult since it will require a constitutional amendment. But even that may eventually reach a viability point as the United States gallops forward demographically, becoming more and more a Rainbow America even as the Senate remains stuck in a nineteenth-century time warp that favors white, rural America. Despite their many shortcomings, Europe’s pluralistic, consensus-seeking democratic political institutions, particularly at the national/member state level, are better adapted than America’s democracy for the demands of representation and policy formation in the twenty-first century. These institutions have been crucial for the enactment of policies that support broadly shared prosperity and more family-friendly societies, and they will be crucial as Europeans confront the policy challenges of the twenty-first century. Ironically, just as at one time the torch of democracy was passed to the young breakaway American republic, which exhibited a popular “tumult” of political activity observed by the French aristocrat Alexis de Tocqueville in his seminal work Democracy in America (1956), today it can be said that the torch has passed back across the Atlantic. It is in Europe that representative democracy is better equipped to foster broad consensus among diverse populations, stakeholders, and interests about the best policies necessary for the twenty-first century. Amato, T. Grand illusion: The myth of voter choice in a two-party tyranny. New York: New Press, 2009. Associated Press. “A numeric profile of the new congress.” Fox News. http://www.foxnews.com/story/0,2933,241441,00.html (January 4, 2007). British Broadcasting Corporation. “Q&A: UK prisoners’ right to vote.” BBC News. http://news.bbc.co.uk/2/hi/uk_news/4316148.stm (October 6, 2005). Bronner, E. “Partisan rifts hinder efforts to improve U.S. voting system.” New York Times. http://www.nytimes.com/2012/08/01/us/voting-systems-plagues-go-far-beyond-identification.html (July 31, 2012). The Campaign Legal Center. “Networks skimped on candidate, issue coverage during campaign, study finds.” The Political Standard 3, no. 9 (2000). Center for Responsive Politics. “Millionaire freshmen make Congress even wealthier.” OpenSecrets Blog. 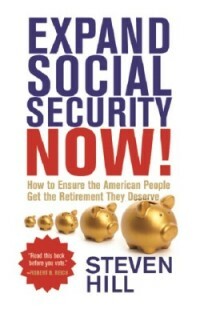 http://www.opensecrets.org/news/2013/01/new-congress-new-and-more-wealth.html (January 16, 2013). Dahl, R. How democratic is the American Constitution? New Haven: Yale University Press, 2002. Deutsche Welle. “German parliament sports young face.” http://www.dw-world.de/english/0,3367,1430_A_642760_1_A,00.html (September 24, 2002). Duverger, M. Political parties: Their organization and activity in the modern state. New York: Wiley, 1954. Eurobarometer. “Public opinion in the European Union.” Standard Eurobarometer 78. http:// ec.europa.eu/public_opinion/index_en.htm (2012). Falk, E., and S. Aday. “Are voluntary standards working? Candidate discourse on network evening news programs.” Annenberg Public Policy Center of the University of Pennsylvania. http://www.appcpenn.org (December 20, 2000). German Bundestag. Facts: the Bundestag at a glance. Berlin: German Bundestag, Public Relations Division. 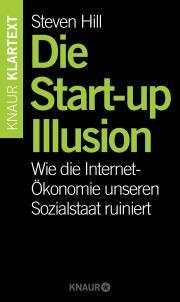 https://www.btg-bestellservice.de/pdf/80140000.pdf (2011). 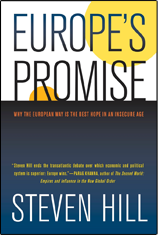 Hill, S. Europe’s promise: Why the European way is the best hope in an insecure age. Berkeley: University of California Press, 2010. ———. 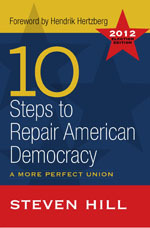 10 steps to repair American democracy: 2012 election edition. Boulder: Paradigm Publishers, 2012. Huber, J. D., and G. B. Powell, Jr. “Congruence between citizens and policymakers in two visions of liberal democracy.” World Politics 46, no. 3 (1994): 291–326. Institute for Democracy and Electoral Assistance. Voter turnout database. Stockholm: Institute for Democracy and Electoral Assistance, 2013. http://www.idea.int/vt/viewdata.cfm#. Lijphart, A. Patterns of democracy: Government forms and performance in 36 countries. New Haven: Yale University Press, 1999. Luce, E. “Corporate tie binds US to a slow Internet.” Financial Times http://www.ft.com/intl/cms/s/0/98e2a5fc-7c54-11e2-99f0-00144feabdc0.html (February 24, 3013). Manning, J. “Membership of the 113th Congress: A profile.” Congressional Research Service Report for Congress, July 1, 2013. McGlennon, J., and I. Mahoney. State legislative competition in 2012: Redistricting and party polarization drive decrease in competition. College of William and Mary, Thomas Jefferson Program in Public Policy. Working Paper. http://www.wm.edu/as/publicpolicy/documents/st_leg_comp_2012_final.pdf (2012). McKinsey and Company. Review of public service broadcasting around the world. http://www.ofcom.org.uk/consult/condocs/psb2/psb2/psbwp/wp3mck.pdf (2004). Milner, H. Civic literacy: How informed citizens make democracy work. Lebanon: Tufts University Press, 2002. National Conference of State Legislatures. “Party composition of state legislatures.” State Legislatures Magazine. http://www.ncsl.org/legislatures-elections/elections/statevote-charts.aspx (2013). Powell, G. B., Jr. Elections as instruments of democracy: Majoritarian and proportional visions. New Haven: Yale University Press, 2000. Putnam, R. Bowling alone: The collapse and revival of American community. New York: Simon & Schuster, 2000. Ruskin, G. “Disgusted by politics on TV? Turn it off.” Fort Worth Star Telegram, October 29, 2000. Scalbert, A. “Who controls the media in Europe?” Rue89. http://www.rue89.com/2007/11/05/qui-controle-les-medias-en-europe (November 5, 2007). Sentencing Project. Felony disenfranchisement laws in the United States. http://www.sentencingproject.org/Admin/Documents/publications/fd_bs_fdlawsinus.pdf (2007). Smith, J. E. “Filibusters: The Senate’s self-inflicted wound.” New York Times 100 Days Blog. http://100days.blogs.nytimes.com/2009/03/01/filibusters-the-senates-self-inflicted-wound (March 1, 2009). Tax Foundation. Federal spending received per dollar of taxes paid by state, 2005. http://www.taxfoundation.org/taxdata/show/266.html (2005). Tocqueville, A. de. Democracy in America. New York: New American Library, 1956. Tremblay, M. “Democracy, representation, and women: A worldwide comparative analysis.” Democratization 14, no. 4 (2007): 533–53. Weingast, B. R. “Political stability and civil war: Institutions, commitment, and American democracy.” In Analytic Narratives, edited by R. H. Bates, A. Greif, M. Levi, J. L. Rosenthal, and B. R. Weingast (148–93). Princeton: Princeton University Press, 1998. Winger, Richard. “2006 vote for U.S. Senate.” Ballot Access News 22, no. 9 (2007a): 4. ———. “Nader sues Dems.” Ballot Access News 23, no.8 (2007b): 3. ———. “2010 was best mid-term election for minor party and independent candidates in over 75 years.” Ballot Access News 26, no. 8 (2010): 1. In October 2005, the European Court of Human Rights ruled that Britain’s banning of prisoners from voting had breached the basic right to free elections, writing, “[The] removal of the vote…runs counter to the rehabilitation of the offender as a law-abiding member of the community” (BBC News, 2005). For summaries of state felon voting laws see Sentencing Project (2007) and ProCon.org, “State Felon Voting Laws,” http://felonvoting.procon.org/view.resource.php?resourceID=286 (last accessed June 20, 2013). Voter turnout is derived by the author from the election statistics kept by the Clerk of the U.S. House of Representative, comparing the clerk’s turnout information (as the numerator) to the “voter eligible population” (as the denominator) compiled by the United States Election Project. See “Election Statistics,” Clerk of the U.S. House of Representatives, http://history.house.gov/Institution/Election-Statistics/Election-Statistics (last accessed June 19, 2013); and “Voter Turnout,” United States Election Project, http://elections.gmu.edu/voter_turnout.htm (last accessed June 19, 2013). This measurement is for the Voting Age Population (VAP) in the 2012 presidential election year, but for the 2010 nonpresidential year the United States was ranked even lower, 169th. See Institute for Democracy and Electoral Assistance (IDEA), Voter Turnout Database, http://www.idea.int/vt/viewdata.cfm# (last accessed June 20, 2013). In 2005, Alaskans received from the federal government $1.84 for every dollar they pay in federal taxes, Mississippians received $2.02, and North Dakotans $1.68. California and New York, with large urban areas and some of the neediest of residents, received only $0.79, and Illinois received even less, a mere $0.75 and New Jersey only $0.61. For a full exploration of how “unrepresentative” the U.S. Supreme Court is of the views of most Americans, see Hill, 2012, chapter 9. In PR systems, the percentage of vote it takes to win one seat is dependent on the “victory threshold” of representation, which is derived by making each contested seat in a multiseat district equal to the same proportion of votes. That is, if ten seats are being elected at once from a multiseat district, each seat will be worth 10 percent of the vote in that ten-seat district. Winning 30 percent of the vote will gain three out of the ten seats, 60 percent of the vote will gain six out of the ten seats, and so on. By adjusting the victory threshold, you can fine-tune your democracy and decide how inclusive or exclusive you want it to be. Some of these European democracies have constructed the electoral rules to allow a multiplicity of political parties (some say too many parties); others, such as Germany, use electoral rules that effectively limit the number political parties that are able to win seats in parliament to five or six. See the website of FairVote (www.fairvote.org) for additional resources about proportional representation. Data based on National Conference of State Legislatures (2013) and personal correspondence with Richard Winger, editor-in-chief of Ballot Access News, http://www.ballot-access.org. See statistics on women’s representation worldwide, published by the Inter-parliamentary Union, http://www.ipu.org/wmn-e/classif.htm. A notable laggard in Europe is the United Kingdom at only 22.5 percent, but even that is still higher than the United States. Germany’s system is “compensatory,” meaning the overall partisan balance of seats reflects the PR vote, not the winner-take-all vote. Even America’s own progenitor, Great Britain, from whom American founders adopted many of their eighteenth-century practices, is midstream in a remarkable political transformation, having adopted PR for electing representatives to the European Parliament, the London City Council, the Scottish and Wales regional assemblies, and Scottish local councils. Presidential candidate Ralph Nader filed numerous lawsuits against the Democratic National Committee for mounting what Richard Winger (2007b), editor of Ballot Access News, called an unprecedented and massive legal effort to remove Nader from the ballot in the 2004 presidential election. (Also see Amato, 2009). Participants in these tests typically are asked questions to see if they can find Iraq on a map of the Middle East, or if they can identify the name of the U.N. secretary general, or if they know the name of the president or prime minister and other high government officials. Milner, Civic Literacy, pp. 55–65. See http://www.NationalPopularVote.com (last accessed May 24, 2013).